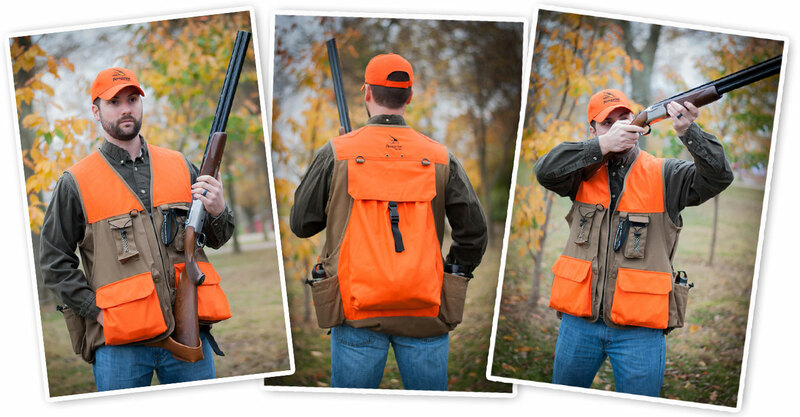 ShockEater® is proud to announce that the new Peregrine Field Gear’s new line of hunting vests will be equipped with an internal shoulder pocket specifically designed to accommodate the ShockEater® Recoil Pad. Peregrine’s premium upland hunting vests incorporate many years of upland hunting experience and the real world comments and suggestions of avid hunters and dog handlers. The combination of Peregrine’s reputation for producing innovative hunting gear and the superior recoil absorbing capabilities of our ShockEater® technology make for a natural fit. Both products will be presented in tandem at the 2017 SHOT Show in Las Vegas, NV. 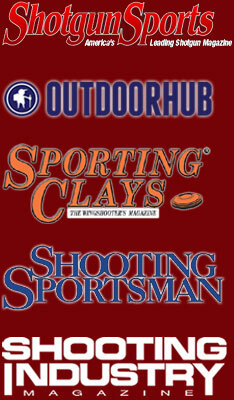 Peregrine Field Gear’s full line of hunting vests and the ShockEater® Recoil Pad available at www.GampSports.com. First and foremost, this vest was designed so that those large roosters can actually be loaded from the front quickly and easily! The front opening of the game pouch has a snap expansion that provides a huge 14+” opening for loading big birds. Second, this vest was engineered with the dog handler in mind. The Velcro transmitter pockets on the chest lay flat when empty, but expand to accommodate virtually every make and model of e-collar transmitter. The elastic restrainer loop is easily secured around the antenna of larger remotes to prevent them from falling out when you bend over. The mesh front on the pockets provides easier identification of transmitter buttons and D-rings next to the pockets provide attachment points for lanyards. In addition, two reinforced water bottle holders (with drain holes) means that you can carry enough water for you and your four legged friend. Third, the “Trekker” upland vest gets its name because in addition to the dual water bottle holders, it also has a rear rucksack for carrying your first aid kit or your lunch, or for stowing those extra layers later in the day when things are warming up. Learn more about the additional features of the Trekker Dog Handler’s Vest HERE. Like its big brother the Trekker Dog Handler’s Vest, this vest has many terrific features that you’ve come to expect from a well designed hunting vest. Identical to the Trekker, this vest was designed so that those large roosters can actually be loaded from the front quickly and easily. The front opening of the game pouch has a snap expansion that provides a huge 14+” opening for loading big birds. Other great features include a 2-way brass zipper to better accommodate the Quick-Shot shotgun holster, magnetic pocket flaps, a zippered bottom on the shell pockets (for easy emptying and clean out), hand warmer pockets, an internal accessories pocket and an expandable rear game pouch (with zipper) with a bloodproof liner. Like all shooting apparel that we produce, the Uplander vest has an inside pocket under each shooting pad that accepts the revolutionary ShockEater® Recoil Pad. So, now you can use those heavy high brass loads and not worry about bruising your shoulder in the process. As with all products made by Peregrine, this vest comes with a “no questions asked” Lifetime Guarantee. Learn more about the additional features of the Uplander Vest HERE. Posted in Partnerships and tagged Compatible Products, Peregrine.